Succession Management (SM) is likely the most important element in ensuring leadership continuity. However, the majority of respondents to our research inquiries do not believe their organizations are doing enough to address ensuing business challenges or prepare for forthcoming business and workforce changes. Worse yet, they are not confident they have the right practices in place, nor know what they are, to identify and develop tomorrow’s most qualified leaders. 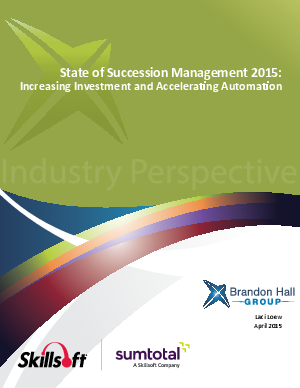 Read this white paper to learn more about how Succession Management can increase investment and accelerate automation.